Staying online while on the road is a priority for business travelers and vacationers alike. Many hotels offer Wi-Fi Internet access through their properties, including within the individual guest rooms, and getting connected with your wireless device of choice is generally a simple and straightforward process. Even if you are already familiar with how to connect your computer or mobile device to other Wi-Fi networks, like at home or at work, the nuances of connecting to hotel Wi-Fi can be a little different. Wi-Fi enabled device: In order to connect to a wireless Internet access point, you will need to have a device that has Wi-Fi capabilities. This can be your laptop, smartphone, tablet or convertible PC. Name of hotel's access point: Particularly in urban areas where there may be several nearby Wi-Fi networks visible to your device, it is useful to know the name of the network or access point that the hotel is providing to its guests. The hotel may also have a protected network that it uses for internal purposes and is not intended for public use. Your room number: Depending on the configuration of the hotel Wi-Fi network, you may need to know your hotel room number as well as the name under which the room is registered. Access code: Ask the front desk if the Wi-Fi network requires a password or an access code. If so, you'll need it to log in. Payment information: While Wi-Fi is free in some hotels, this is not always the case. Some hotels with fee-based access may bill the Internet access charge to the room directly, while others may require you to pay for access directly with a credit card or voucher. Since the exact configuration of the wireless Internet network can vary between hotel properties and operators, the specific steps may vary accordingly. If specific instructions are provided in your room, follow those first, as they are designed for the hotel's specific system. The instructions provided here are general guidelines that should address the majority of cases. Turn on your device: Make sure your laptop, tablet or smartphone is turned on and ready to be used. Enable Wi-Fi: If you had your smartphone, computer or tablet in 'airplane' mode during your flight, you will need to disable that mode to turn on the Wi-Fi radio. This is no different than connecting to any other Wi-Fi access point. Search for nearby networks: On your device, look for available Wi-Fi networks in your area and locate the hotel's access point. This can be found through the Wi-Fi menu on your mobile device or through the Wi-Fi settings on your computer. Select the hotel Wi-Fi: Some hotels may offer multiple networks to cover different floors. If this is the case, choose the one with the highest signal strength for best performance. Enter the Wi-Fi password if needed: If the network is secured with a password, you may be prompted to enter that password now. Open a web browser: Launch the web browser program of your choice. This may include Google Chrome, Internet Explorer or Safari, for example. Complete instructions if required: Depending on the configuration of the network, you may now need to access a special portal or 'splash' page from the hotel or the Internet provider. Visit any URL (like http://www.lovetoknow.com) and you should be redirected the portal page if one exists. From there, follow the on-screen instructions. This may include entering your room number, the name under which the room is registered, an access code, or payment information (if required). It may also involve accepting the terms and conditions. The guest book in your hotel room should have further instructions if needed. Surf the web: After entering any required passwords or access codes, you should now have access to the Internet on your device. If you require further assistance, ask the front desk. Getting online from the comfort of your hotel room may be convenient, but it is also possible to run into common issues and complications. 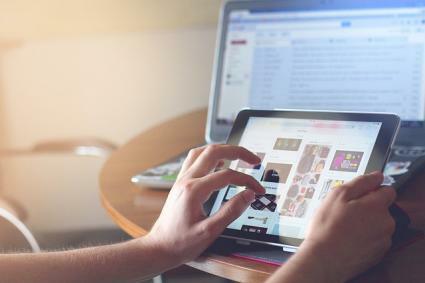 Connecting more than one device: Some hotels may charge for Internet access on a per-device basis, or offer free access for a specific number of devices with a fee for additional ones. This means that if you want to connect your iPad, your Android smartphone and your Windows laptop, you may have to pay separate Internet access charges for some or all of them. Clarify with your hotel before connecting multiple devices if you want to avoid surprise fees. Another alternative to consider is to invest in a wireless range extender or portable router. This can use the hotel's Internet connection and create your own Wi-Fi network to which you can connect multiple devices. This may or may not be against the hotel's rules, so proceed at your own risk and discretion. Connecting with game consoles and other devices: Because some hotel Wi-Fi networks require you to go through a portal or splash page in a web browser before gaining Internet access, it may not be possible to connect certain devices to the Internet from your hotel room. This may include certain video game systems, as well as streaming devices like a Chromecast or Roku. Free Wi-Fi access in public areas: Even if a hotel charges a per-day fee to use the Internet, either wired or wireless, in your hotel room, it may offer complimentary Wi-Fi access in the lobby and in other public areas. Read the guest book carefully or ask the front desk for details. Weak signal or dropped connections: The wireless network may cover the entirety of the hotel property, but some rooms may be closer to the access point(s) than others. If you find that you only see a weak signal from your room, you might want to ask about switching to a different room where the connection is stronger. Testing the connection speed: Even if you have a strong signal with the wireless access point, your Internet speed may still be slow. The hotel's Internet service itself may be too blame. Speedtest.net will allow you to test the download and upload speed of your connection, as well as the ping time. Unable to access certain websites: For a number of possible reasons, the hotel may block access to certain online services or websites through its Wi-Fi network. It might block certain video streaming services, like Netflix or Hulu, because they would rather you order an in-room movie for a fee instead. This is typically blocked at a network level and cannot be bypassed. Security and privacy: Treat your Internet access at the hotel the same way you would a public access point at a coffee shop, shopping center or public library. Avoid access highly private information, like online banking, unless you utilize additional security measures like going through a virtual private network (VPN). While not a hard and fast rule, budget hotels are generally the ones most likely to offer complimentary Wi-Fi access to their guests. Higher-end and luxury hotels may also offer Internet access, but this will often comes with a daily fee - though the fee is sometimes waived for reward program members. Before going on your trip, check the hotel policy to see if free Internet access is offered to reward members. Joining these programs is usually free and also comes with additional perks.